The labeled image below is a digital terrain model (DTM) of the Western rim of Endeavour Crater overlain with a northward perspective from HiRISE and compositional data from the Compact Reconnaissance Imaging Spectrometer for Mars (CRISM). This is the area Mars Exploration Rover Opportunity has been investigating since 2011. This image has been instrumental in planning Opportunity's movements and continuously developing mission. As indicated in the image above, orbital data has identified areas where clay (red), sulfate (green), and volcanic (blue) minerals could be present. Clays and sulfates are indicative of a watery past on Mars as they often only form in the presence of significant moisture. 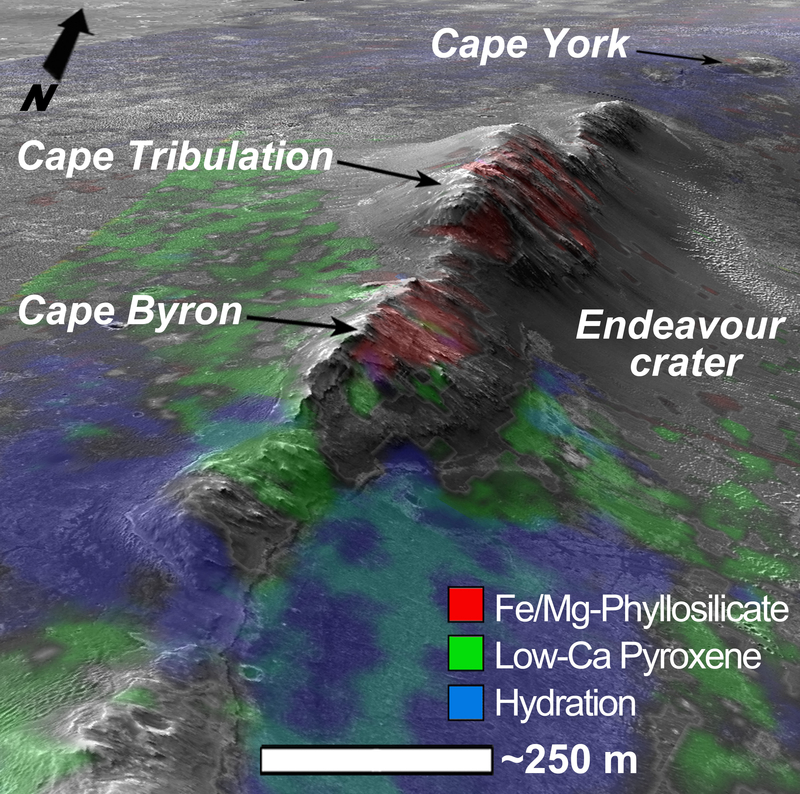 Opportunity is currently around Cape York, but heading south in an attempt to discover more about the geology of Endeavour Crater.